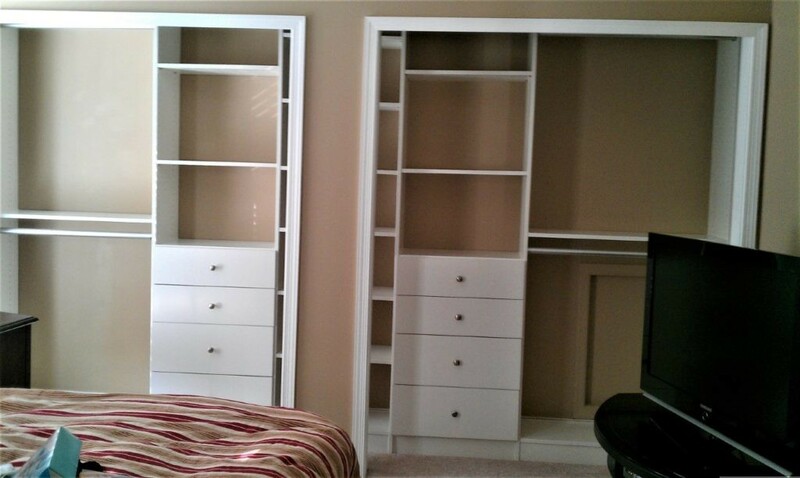 His and Hers Closet Storage – similar storage on each side. We can custom-design your closets to your specifications. We can also provide design advice.